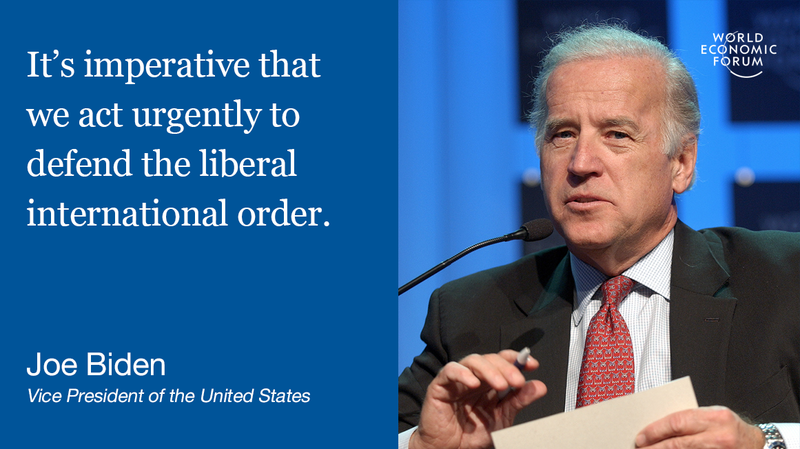 Just 48 hours before leaving office, US Vice President Joe Biden made an impassioned plea for America’s role in upholding the post-War order from the stage in Davos. In his final speech as VP, Biden spoke of the peace-building history of the Transatlantic relationship, Russia’s role in the US election, the future of the European Union and the importance of NATO. Here are some of the key quotes. Biden spoke of the importance of educating people for the jobs of the future, and called for a more “equitable” tax system to help solve the middle class crisis. “Popular movements on both the left and the right have demonstrated a dangerous willingness to revert to political small-mindedness – to the same nationalist, protectionist, and isolationist agendas that led the world to consume itself in war during the last century. Biden said he expected that Russia would intervene with similar tactics in the national elections coming up in Europe this year. You can read the transcript here or watch the speech in full here .